Manchester United demolished Club Brugge in the second leg scoring four goals and making it a thumping 7-1 aggregate win over two legs as they storm through to the group stages of the 2015-16 Champions League. Wayne Rooney finally broke his goal-less streak with a hattrick of goals while Ander Herrara started his first of the season and scored the fourth for United. Manchester United will find out on thursday what group they will be placed as the Champions League draw takes place tomorrow morning. Manchester United will be pleased with a 4-0 win against Brugge and a 7-1 aggregate and Rooney getting back on scoring sheet again. Manchester United started on the back foot when they were pegged back with and own goal from Michael Carrick but new summer signing Memphis Depay finally announced his arrival at Old Trafford with stunning brace and secured a very important win for United against Club Brugge. His first goal came after couple of nice touched when the took the ball over the defender before slotting a low driver past keeper and second was even better finished after cutting inside from left. United would have liked atleast another goal to get the two goal advantage going into the second leg in Belgium but even with a 2-1 win you would fancy Manchester United to go through but Brugge won’t be pushovers in the home leg. Its probably the biggest game United were involved in last two years since Sir Alex Ferguson retired, United play Belgian side Club Brugge in an attempt to qualify for the Champions League group stages. 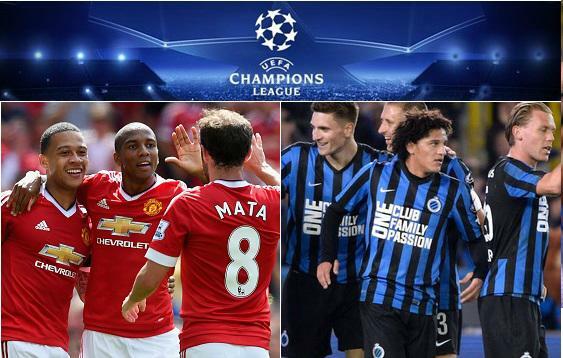 United missed out last year’s Champions League for the first time since the competition was re-branded back in 1992 and they barely finished 4th in the league which give them a chance of reaching Champions League proper if they can outsmart Club Brugge. On paper this looks like an easy double header for United and they should ease through but the reality is different, Club Brugge has nothing to lose and they are playing second leg at home while United can not afford to miss out on the champions league for a second consecutive season which will be a disaster both in terms of financial health of the club and the quality they can attract. UEFA has announced significant increase in Champions League prize money plus english club will benefit from BT Sports new Champions League deal which means english club will get higher percentage of “Market Pool”. If United were to reach final of this years competition they can pocket around 100 million euro just from Prize money and tv income (gate receipt are not included in the figure). As far as players are concerned, every squad member has a clause in their contract about wages increase on the back of qualification to the champions league. So there is a lot to play for and we can expect best possible preparations and motivation for these two games. Match Highlights: Once the game is over you can watch the match highlights with extended footage updated shortly after the final whistle.